Omnilux plus™ is based on a matrix of Infra Red LEDs, which provide narrowband 830nm light. The individual LED cone angle and the spacing of the LEDs ensure uniformity of the beam for full coverage of the treatment area. 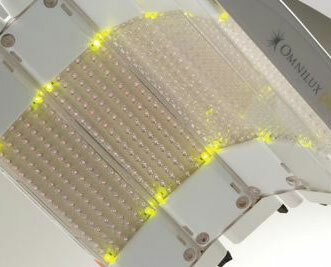 For safety reasons, single LEDs of visible yellow light are located in the four corners of each array in order to determine if the head is lit.